There are several ways to execute a piece of code when your Raspberry Pi boots. You can, for instance, use the nickname @reboot in crontab in order to launch an script after rebooting your machine. You can also configure crontab to run the script every X minutes. However, if you want to create a Raspberry Pi service that runs at boot time, considers dependencies and keeps on running in the background, you should use systemd. Systemd is an init system used in Linux distributions to bootstrap the user space and to manage system processes after booting. It includes a collection of tools for a range of different tasks. Its primary purpose is to initialise, manage and track system services and daemons, both during start-up and while the system is running. logger -t $tag "Sending alarm. 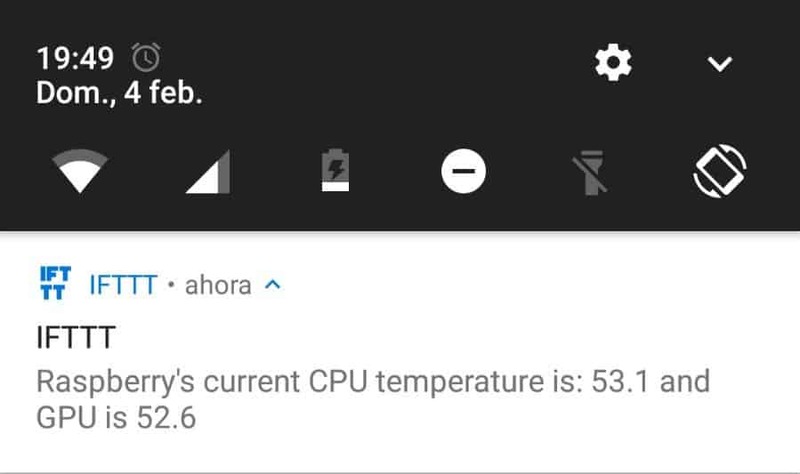 CPU Temp: $CPUTemp. GPU Temp: $GPUTemp"
In order to know more about the IFTTT applets, read this post. I have used egrep to extract the temperatures with one decimal and awk to compare floating numbers. logger is used to log the sent alarms, as well as the temperatures recorded, in the system log syslog with the tag tempMonitor. The script will sleep and wake up in the minutes ended in 1 or 6 (01, 06, 11, 16, etc.). To know more about how to calculate this sleep time, see the following post. Just adapt the code to the path used in your system. The line After=network-online.target will postpone the start of the service until the network is in up status. If you want to know more about some of the options used, I recommend you to read the following article. 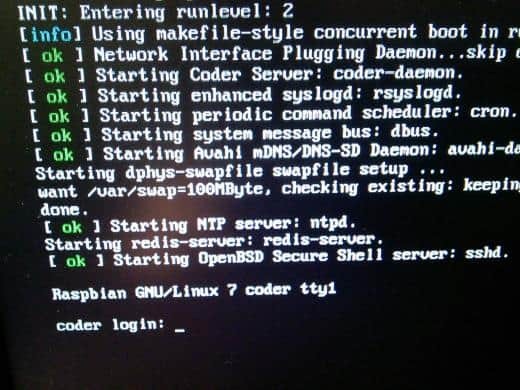 sudo systemctl status tempMonitor.service ● tempMonitor.service - Raspberry Temperature Monitor Loaded: loaded (/lib/systemd/system/tempMonitor.service; disabled) Active: active (running) since dom 2018-02-04 19:43:11 CET; 2s ago Main PID: 5709 (bash) CGroup: /system.slice/tempMonitor.service ├─5709 /bin/bash /home/dani/scripts/tempMonitor/tempMonitor.sh └─5728 sleep 300 feb 04 19:43:11 TrastoRaspberry systemd: Started Raspberry Temperature Monitor. feb 04 19:43:11 TrastoRaspberry systemd: Started Raspberry Temperature Monitor.